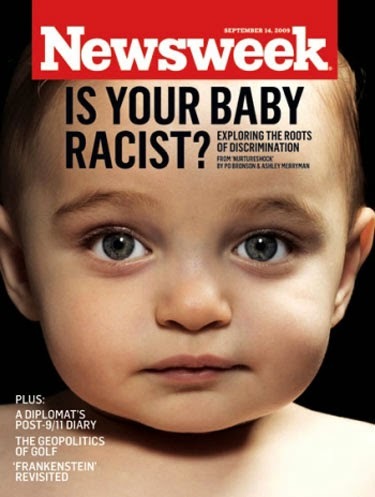 A few years ago, Newsweek's glossy cover asked "Is Your Baby Racist?" The baby looking back at supermarket shoppers, airline passengers waiting for their flight and patients in the dental office had blue eyes. The labeling of racists as white has itself become a racial stereotype. And it's not an accidental stereotype. Behind the left's support for affirmative action is the belief that white racism is the only kind of racism that exists. Black racism they insist is really called "reverse racism" and is a myth made up by white people. It's not that the left believes that affirmative action isn't racist. It's that it believes that there is no such thing as racism against white people. Like the Knockout Game or white students who qualify on merit but can't get into college because of racial diversity quotas; it’s an invalid category. A myth. And if it's a myth, then there's nothing wrong with a little racial violence or a few racial preferences. Our system isn't immune to bouts of niche insanity. A sizable portion of Hollywood believes that their souls originated on another planet and that they will eventually gain superpowers. Much of Washington D.C. believes that money can be printed infinitely with infinite economic benefits. And the academic and non-profit establishment believes that anti-white racism doesn't exist. The left is delusional, but it isn't completely insane. It doesn't deny that black hate crimes can take place. It won't even deny the occasional act of institutional discrimination. And that is where sanity parts ways with insanity because the left does not recognize racism except as a collective phenomenon. The debate over affirmative action is about the collective and the individual. "It cannot be entertained as a serious proposition that all individuals of the same race think alike," Supreme Court Justice Anthony Kennedy wrote in the Schuette v. BAMN decision that permits a ban on racial affirmative action discrimination in Michigan. But that's the exact premise that the left operates under. Or rather it doesn't care whether members of a race think alike. It still chooses to address them as a group or not at all. Racism, to the left, exists systemically. It exists institutionally. It exists collectively, but not individually. All white people are racist. All black people are victims of racism. Any events to the contrary are exceptions to the rule. Racism can only exist one way between the majority and the minority. Anything else is a mythical 'reverse racism'. Conservatives view people as individuals. Leftists view them as parts of a system. To a conservative, racism is something that happens between individuals. To a leftist, it's the attribute of a system. Trying to convince a leftist that black racism exists or that affirmative action is racist is like trying to convince him that some of the cells in his body are plotting against him. He doesn't see individuals, he sees a system. The debate over affirmative action is really the debate over whether we see people as individuals or cells, whether the white and black students who want to be seen as individuals will prevail, or whether the totalitarian left with its insistence on viewing them as differently colored marbles in a single system will continue to get its way. Similarly in politics, conservatives reach out to people who agree with their policies, regardless of race, leading to less diverse, but more intellectually robust groups, while liberals form racial coalitions. Liberals accuse conservatives of racism because they assume that they are not a coalition of individuals, but a racial collective, just like them. The lack of individual conservative racism occasionally registers, but is not processed because only the system matters. And yet racial healing hasn't happened in America on a collective level. We haven't been readjusted as a system. We have changed individually. That is what the left, with its obsession with systems, cannot see and cannot cope with it. The Great Society failed miserably because we were a great society all along. We weren't a great society because we were perfect, but because we were constantly striving to better ourselves as individuals. And it is this trait which affirmative action and the left's collectivist view undermines. Systems don't reject racism. Individuals do. It is this fundamental truth that Newsweek's obsession with baby racism and the indoctrination of white privilege are meant to combat. Their collective message is that individuals are products of the system, puppets of their biology, forever damned by an original sin of racism that so thoroughly pervades every part of their being and mental state that they can never escape it. Not unless the system changes. 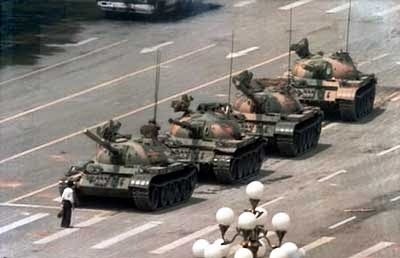 That was the left's defeatist totalitarian response to class. The failure of its systems of economic management and the success of capitalism destroyed its credibility on class. The idea that the working class can never escape poverty under private enterprise has been buried as thoroughly as the statues of Marx and Lenin. But instead of rethinking its paradigm, the left substituted race for class. The working class could succeed under private enterprise , but only as long as it was white. Race, like class, is not a systemic problem. It's not a problem of the system, but of the individual. There is no single collective solution, only the solutions that individuals find for themselves. We are not a nation divided between black and white, or between the even more absurd formulation of the colorless whites and the 'people of color'. We are individuals. We always were. It denies the individual. It denies his identity, his worth and his agency. It puts the system above the individual and takes away the rights of everyone, of all races, genders and assorted identities. The left is obsessed with the 'whiteness' of the system. Its obsession is not only racist, but it replaces an open system in which people can change and are changing... with a closed system under which they cannot. This totalitarian aspect of the system has been hidden under a sham of empowerment and the rituals of victimization that reward those who play the race card over those who try to do their best. The system doesn't reward aspiration, it rewards only outrage. It is interested only in promoting the collective force that keeps its wheels turning, not the individual counter-clockwise rotation of dissent. The white experience of black racism is illegitimate because it turns 'against' the system. And so it's a conversation that has to be shut down and an experience that has to be delegitimized with accusations of white privilege. White privilege is an artifact of systemic thinking that does not recognize individuals. It's an attack by the political immune system of an ideology that has absolutely no room for non-conforming experiences. What will determine the outcome of the affirmative action debate and the larger debates over race and class is whether we approach them as individuals or as parts of a system. Americans resist being treated like interchangeable parts of a system, but the individual narratives that the left uses so effectively are cover for systemic approaches and systemic solutions. The left has responded to institutionalized racism with institutionalized racism until it became the very racist institution that it was once fighting against. Institutions don't fight racism, they create it. The most compelling argument against the left's collective racial policies has always been the individual. Organizations can create hate, but only individuals can replace it with love. Responsibility is a personal experience. That is what has been corrupted. Self reliance has been changed to self love. Individuals who are afraid to be alone, who must belong, are really lost. It is sad and frightening. But instead of rethinking its paradigm, the left substituted race for class. Exactly as the left's predecessor Adolf Hitler did when he changed international socialism to National SOCIALISM. Marxists need a war between the classes. They need the lower class to hate everyone above them. Nazis believe the differences in the races are where the conflict lies. Just like today's democrats. Very well thought out, thank you. I once heard someone point out that, in today's culture, the mainstream seems willing to believe that it would be possible for aliens to do any of the things that God is said to have done in the Bible while denying even the possibility that God exists. Your article has made me think that there is an equally valid observation to be made that liberals, while denying adamantly the Biblical claim that every human being is born tainted by original sin, are perfectly willing to allow that babies can be born racist. I have not read the Time article, but from reading yours, I should hope that, rather than baby racism, the Time article might better have pointed out babies glances(if it was referring to the same research with which I am vaguely familiar) lingering upon faces that most resemble those of their parents/families may merely be showing a preference for the familiar without negative prejudice. One of the profs pushing this vision of racism the hardest is john a powell. He prefers the lower case. The fact that the aim is to destroy the legitimacy of the individual is so open that he even writes about using education to destroy the very concept of the 'unitary self.' A person who does not see themselves as merely a part of a system or embedded in a community where the consensus binds everyone. http://www.invisibleserfscollar.com/distributive-justice-is-not-enough-we-must-break-the-illusion-of-the-unitary-self/ is quoting powell and his intentions. He gets to visit the White House with these views. He was there at the 2011 Building One America summit and he remains involved with Building One America. It's all about Building an America based on equity where equality of treatment is not enough. The governments at all levels must intervene to ensure equality of outcomes for all groups, regardless of effort or real causes of disparity. Black West Indian in Bristol (UK) a few year's back, on being accused of racism (she called an Indian a "coconut" - brown outside, white inside) claimed that she "couldn't be racist, as I'm black". At its core, modern Leftism is an assault on the concept of value. It is driven by the crazed emotivism of having to choose one thing over the other. Lefties cannot be with that, because it forces them to discriminate. The easiest way out of this conundrum is to universally stand for the "little guy," in every instance, regardless of explanations. It is fundamentally driven by hatred of the "other" choice because the other choice is "mean.," or hateful. Driven by hate, for hate, as an excuse to fight hate. This philosophy is now such a mish-mash of nonsense that only hatred of some bogeyman can hold the center of this "movement." They cannot govern because they cannot choose. They pick their friends' causes and claim that's doing the greatest good for the greatest number... because it makes them feel good. A does not equal A... it becomes whatever you want it to be. It is, by definition, a fantasy, a delusional existence. I don't align with your "Organizations can create hate, but only individuals can replace it with love." This statement demolishes your entire argument in this (otherwise excellent) piece. 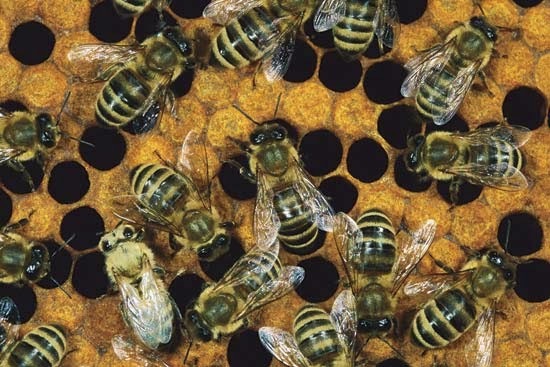 Individuals create and sustain organizations. If no one is responsible, then we're chalking more stuff up to "systems," which become the nameless, faceless "they." Behind the leadership of all this reverse racism nonsense are people (probably very intelligent people) who are making choices they should be responsible for. In other words, they should know better, and perhaps do. They just won't change because the answers are too easy. Treating everyone as an individual is hard. It's easier to just group people and be done with it. But we don't move forward from there, do we? Once again, follow the money. I'm ready to have this rejected, but I take issue with the whole assumption that racism is necessarily bad. Why should we concede to the left that everyone is exactly the same? The question of racial differences is an empirical one to be decided on the basis of evidence. Of course, if 'racism' is taken to mean 'persecution because of race', that is evil, but so is persecution for any reason. I'm afraid we are subconsciously giving in on all sorts of 'small' points, and we may end up having nothing left. Greenfield writes, "Institutions don't fight racism, they create it....Organizations can create hate, but only individuals can replace it with love." But isn't that exactly what the Left is saying? Isn't that the whole idea behind the Left's definition/invention of "institutional racism"? I think a better position to take is that individuals make up an institution and support it, and that racism (institutional or otherwise) works both ways; that is, can be White on Black and, also, Black on White. And--to be even more precise--anytime you have an in-group and an out-group, you will have racism. The big problem to me is that it is one-sided with only a few select groups in the protected category on the one hand, and only one group (Whites, and especially White males) who are the racists on the other. Also to the Left, all racists are Republicans or conservatives. They do not mention that Donald Sterling is a big Democratic contributor and they ac t as if he is the third "Koch brother". In Rwanda, today, the people are celebrating a "reconciliation" 20th anniversary of the murder of 800,000 of the minority Tutsi population, by the Hutu majority, demonstrating the main "benefit" of a "pure" democracy, "the majority can vote to eat the minority", as they did a million years ago. It should also be recalled that the U.N. withdrew its military presence and quietly allowed the carnage to continue. The physical difference between the two black groups was almost indistinguishable, so ID cards were issued by the Government that eventually marked the Tutsi's for death. The g_d, who made Man in his image, also gave him a lot of easily activated hate genes, and history shows this inclination exists among whites and other people of color. We see this going back thru WWII, the Ottoman wars, the Crusades, Greek and Roman warfare, and indeed into the days of Egypt and the Old Testament, when written history began. Governments manipulate that gene where they are not restricted. Obama, from the beginning, intended to divide the races, as he was trained, and he now has an army that many hope will ultimately free him of Constitutional restraints. For some time, with the cooperation of the "Enemedia", black crime has been minimized, and all whites are demonized as racists on the basis of any non-racial crime, which is practically all that actually occur. With words, alone, blacks can be convinced that they are hated by all whites, including the new born. There is quite a lot of money to be made in the race industry, even more if someone becomes multi disciplined within the grievance industry as a whole. Fund raising, face time, speaking fees, the opportunities are endless. No way this can be allowed to be over with. What Conservatives say about race simply can not be allowed to be true. On a personal note, my granddaughter has been wait listed for Harvard. Her great grandfather, grandfather and father all attended school there. Granddaughter has better grades than her antecedents, teaches diving and swimming to inner city kids, and went to a very rigorous high school in DC. Problem is, she's too White, has no out of wedlock children, and comes from a nice, normal middle class Jewish family. What was she thinking in even applying ? Like Asians there is a cap, a glass ceiling. If admissions were purely based on merit, Asians, women and Jews would dominate academia.It would not only be Black and Hispanics who would lose out but also non-Semitic Whites to Asians and Jews. I'm the sort of 'coconut' that the West Indian buffalo mentioned by a prior commentator railed against; only we are called "Macaulay's Children" by better-educated and, frankly, better class of bigots. Ten years ago (almost), I got off LAX and believed all the Socialist nonsense about Race and Conflict because inter alia my whole family is Socialist ranging from 19th Cent. Fabianism to late 20th Cent. Anti-Colonialism. Of course, we're totally irreligious! My grandfather taught me, when I was prolly seven years old, that "religion is the opium of the masses." Well, I must confess that, to date, I have very little sympathy for Hinduism. But I digress. Yes, controversial comment ahead: there is absolutely no way any race can coexist with Blacks. Like Muslims and Nietzsche's women, they can either be Masters or Slaves: "co-existence" in every sense of the word is impossible. My own family was kicked out of Northern Rhodesia along with hundreds of thousands of Indians, mostly Gujaratis, from most sub-Saharan "countries" with the predictable result of, virtually, immediate economic collapse. Have you lived in a Black neighborhood? I have. Four years in Venice, Ca. Do you know how many Black friends I made? Zero. Not a single Black spoke to me. The old men ignored me and the young 'uns tried to gauge whether I had a 12-gauge under my ridiculously large overcoat (I didn't). American attempts, specifically, Yankee attempts, at "equality" are a total disaster and will remain so since they expect normal well-adjusted human beings to get along with a community that believes the CIA poisoned its people, invented HIV-AIDS, that Phillip Morris is owned by David Duke and the KKK, that Europeans "stole" Black culture (which is why there is none left) and that they are entitled to "forty acres and a mule." I owe Black America nothing. White people, especially those who built this magnificent land (B"H) and created a system that remains, indisputably, the best place to be Black, owe even less. If anything, Blacks owe white America everything - especially a very big thank you for not being born in Africa. But, that would require intellectual and moral effort as well as capacity for the same which, by and large, is conspicuous by its absence in the Black "community." "The old men ignored me and the young 'uns tried to gauge whether I had a 12-gauge under my ridiculously large overcoat (I didn't)." As a white male I don't know if I'm racist or not because I don't know what it means. Can someone define the term? Robert W.....if you get into an argument with a black person, you are a bigot. If you win the argument....you are an oppressor and a racist. Hope that helps. BarryCuda, it seems you haven't expunged the Socialist/Marxist nonsense you've learned. I have no more sympathy for you for saying this "Of course, we're totally irreligious! My grandfather taught me, when I was prolly seven years old, that "religion is the opium of the masses." Well, I must confess that, to date, I have very little sympathy for Hinduism." than if you were a Jew who wrote "I have very little sympathy for Judaism" or Christian taught to despise the Christian heritage for that matter. You are exactly the type of person Greenfield writes against except instead of being a self hating Jew you are a self hating Hindu. There is no more pride you should have for being a "coconut/Macauly child" than a Jew should have being considered a sell out by other Jews who are proud of their religion and heritage. Socialism/Marxist is about destroying all religions and making people feel ashamed of them so that all the people will be all the same under Socialism/Marxism. This is not respect for diversity but the annihilation of diversity and difference and any competition to Socialism/Marxism. Jews, Christians,Hindus, etc...face the same attacks from Socialism, Marxism and Islam. It is not the coconut/Macauly children who have very little sympathy for their ancestral faith and heritage that are the ones who have fought against Islamic jihad. It is those Indians who have pride in their Indian heritage and Hindu faith who have resisted for centuries the Islamic jihad and who are the strongest in resisting Islamic jihad today. In fact it is these coconut/Macauly children who often side with leftist policies that enable Islamic jihad. It is Indians who are proud to be Hindus, Jews who are proud to be Jews, Buddhists who are proud to be Buddhists and so on who are the ones fighting Islamic jihad globally. It is thanks to proud Hindus that ALL of India has not fallen and become and Islamic state with the entire South Asian nuclear arsenal going to radical Muslims, not thanks to coconuts like you. It is due to proud Jews, Christians, and Buddhists, etc that those non-Muslim lands have not all fallen to Islamic jihad either. Not religious haters like your self. Elby: There's a component of Critical Race Theory that says only whites can be racist, because only Whites have power. (This is a typical unilateral assertion in the bizarro world reasoning of the Insane Ivory Tower Rubber Room Left of Academia, whereby they redefine words 1984 George Orwell style, confusing regular people like you and me and asserting nonsense because some "expert" that did too much LSD and Marijuana in college reasoned that it was so). Remind such people that whoever taught them that definition of racism does not have the unilateral, uncontested power to change word definitions like that. For the left, there can be only one kind of racism and that's white racism.